After seeing a picture of kanye with 2 eggs on him and the words “2 over yeezy,” I knew I had to do something more about it. I decided to come up with a set of illustrations for multiple rappers that uses the same type of humor. 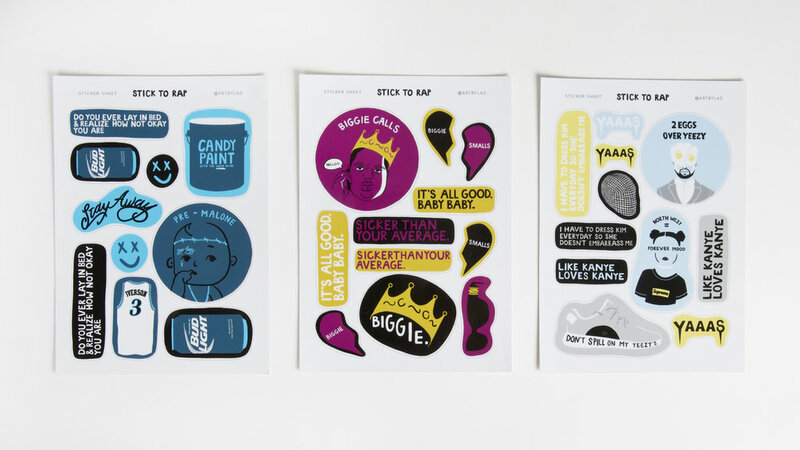 Each illustration was then turned into a sticker to put on your laptop, water bottle, etc. 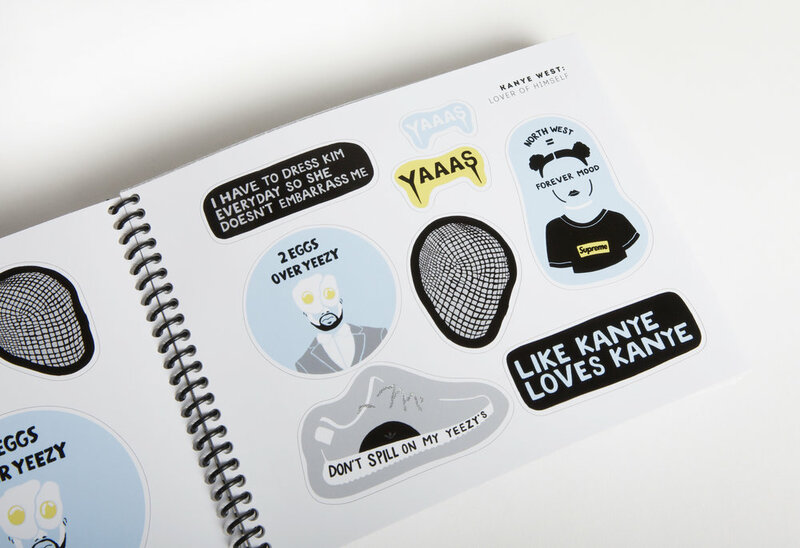 in the form of sticker sheets, as well as a sticker book. I loved this project because it took pop culture references and poked fun at what they’re associated with. It was also a project a lot of my friends were into and on social media, #yeezyspottings became a thing.